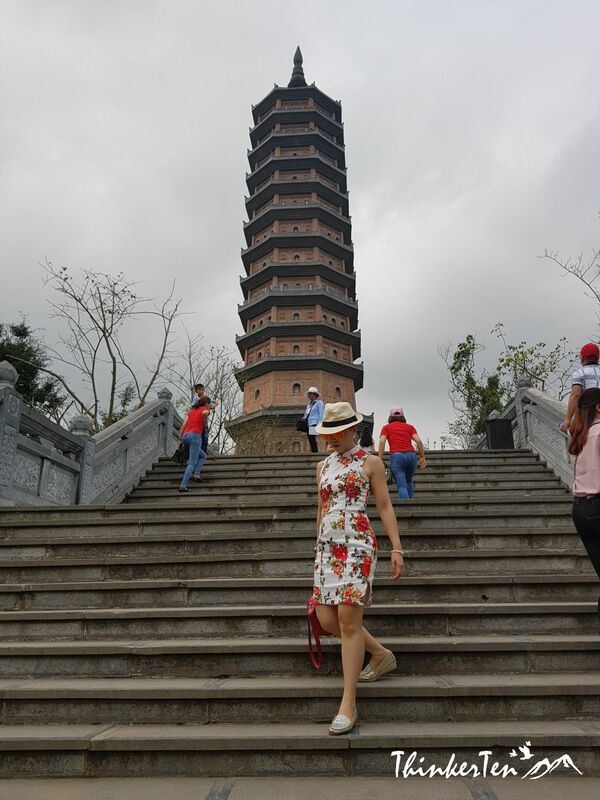 Bai Dinh Mountain is about 2 hour drive from Hanoi. 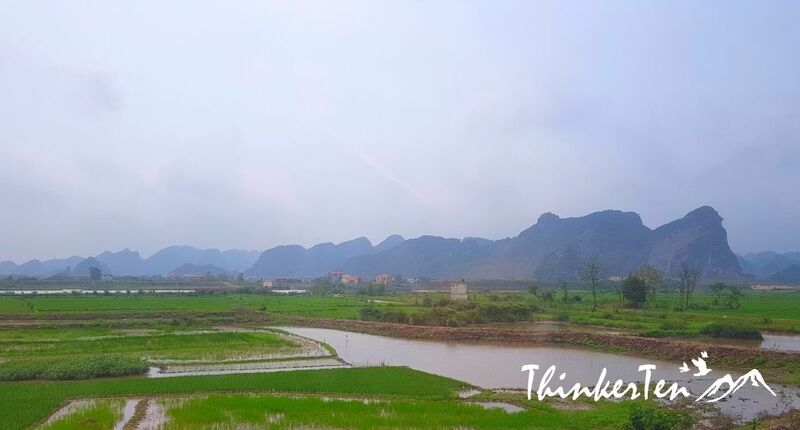 It is located behind a range of limestone mountain in northern Ninh Binh province. 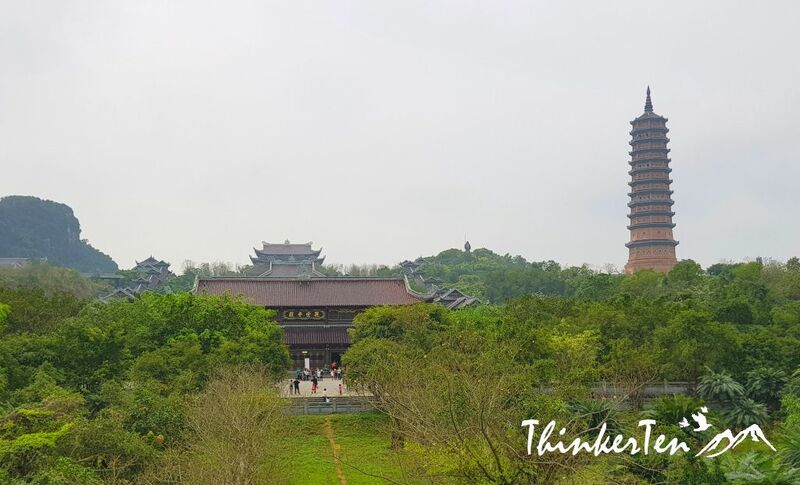 It is also 6km away from the ancient capital Hao Lu. 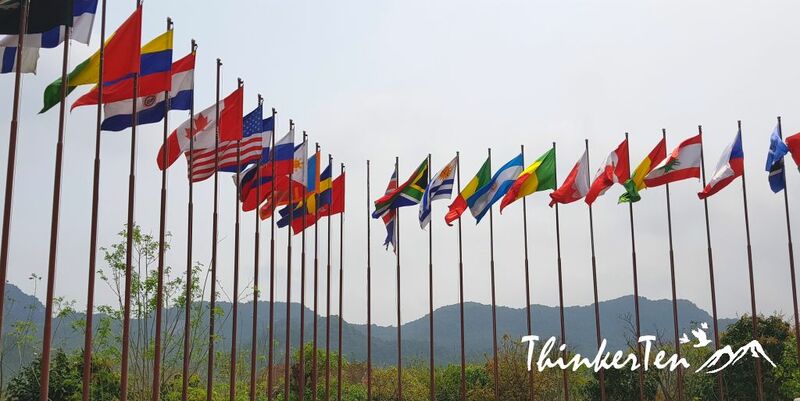 The complex is very big, there is an option for you to choose when you purchase your ticket. With electric car/buggy and without. I strongly recommend you to purchase the ticket with electric car as it will bring you up to the mountain. 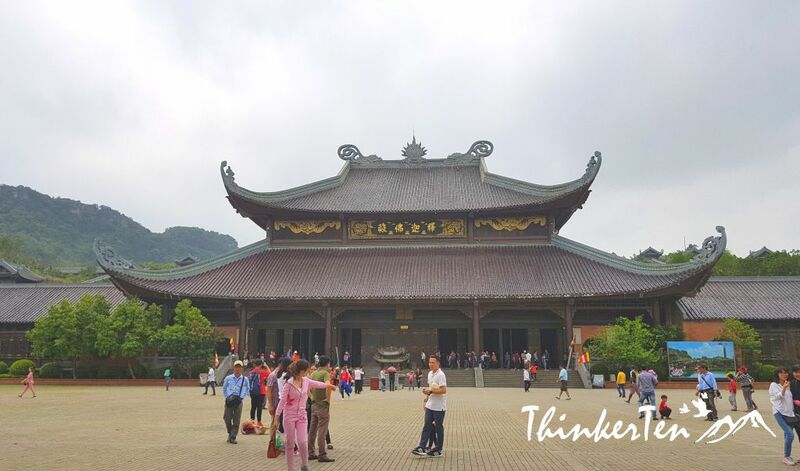 The complex consist of a pagoda and few temples and a huge laughing Buddha at the top of the mountain. There are plenty of walking around these big complex. You will also expect to climb a lot of stairs up and down so a pair of comfy shoes and good knees will make your life less painful. 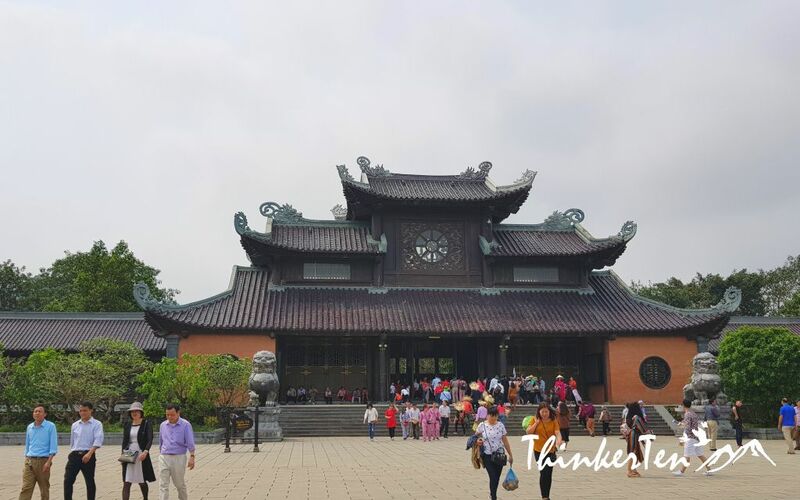 The complex was recently completed in 2014 and it is one of the major attraction in Hanoi. 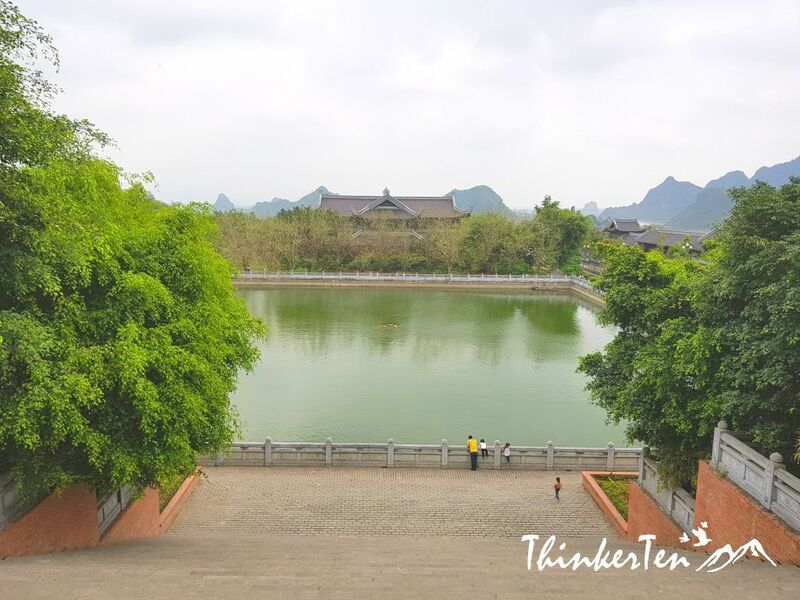 Do spot for the architecture, statues, garden, ponds & panorama views at the top of the mountain. There are 500 stone arhats lining at the corridor which leading up to other structures of the pagoda complex. Visitors would normally touch the arhats’ knees and feet or arms, so you will see the color is darker due to the human sweat. 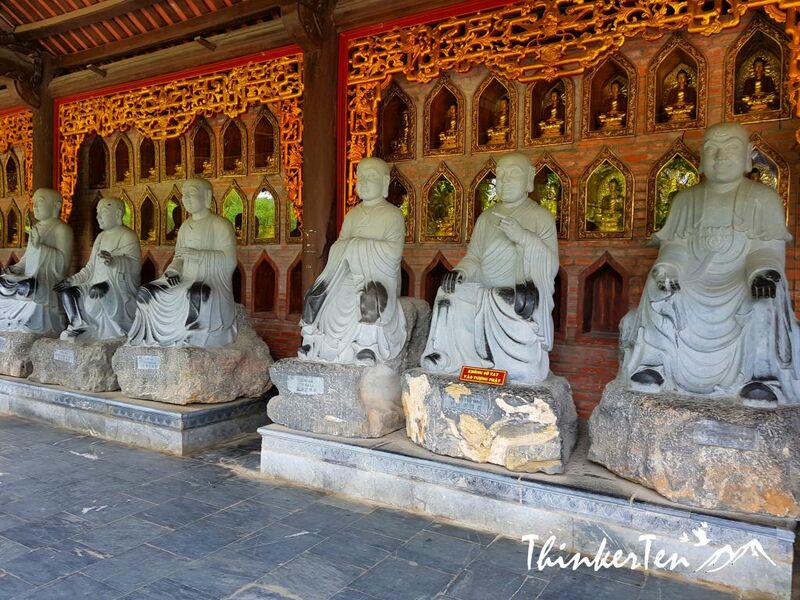 It is advise not to touch these arhats statues as our sweat may damage the statue. 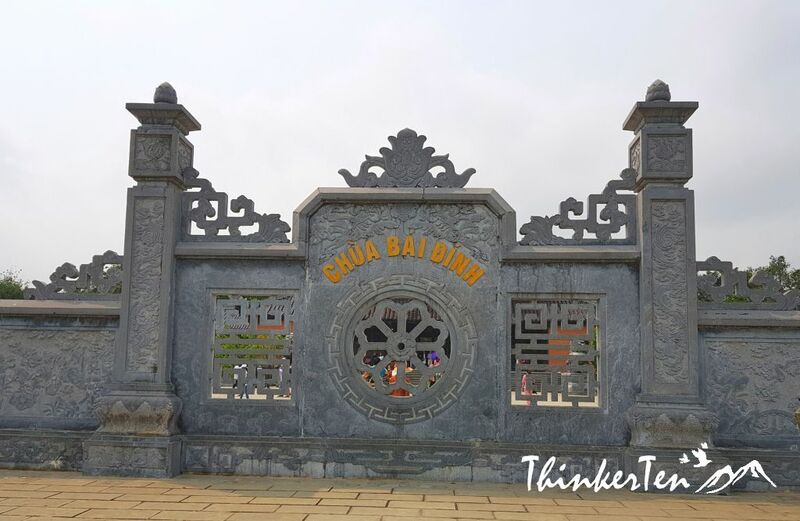 These statues are carved by Ninh Binh stone by local villagers. 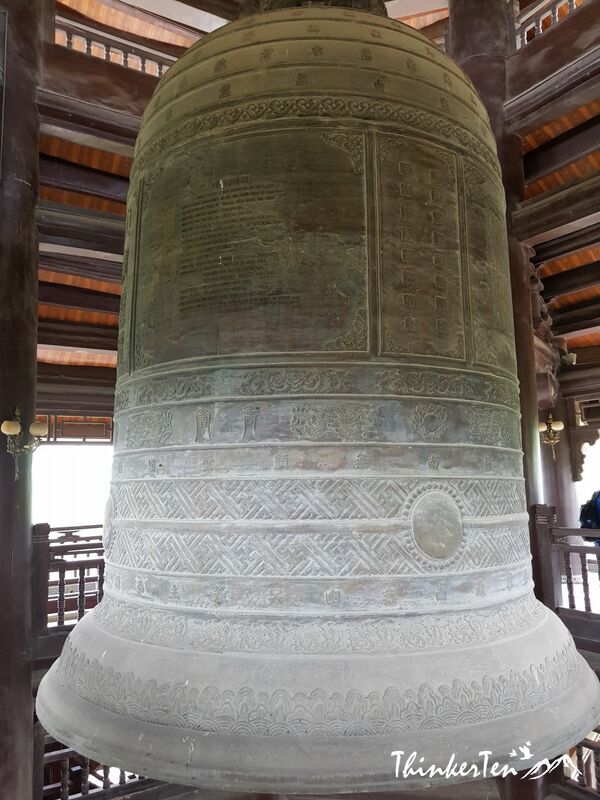 There is a giant bell located at the triple-roofed Phap Chu Pagoda. 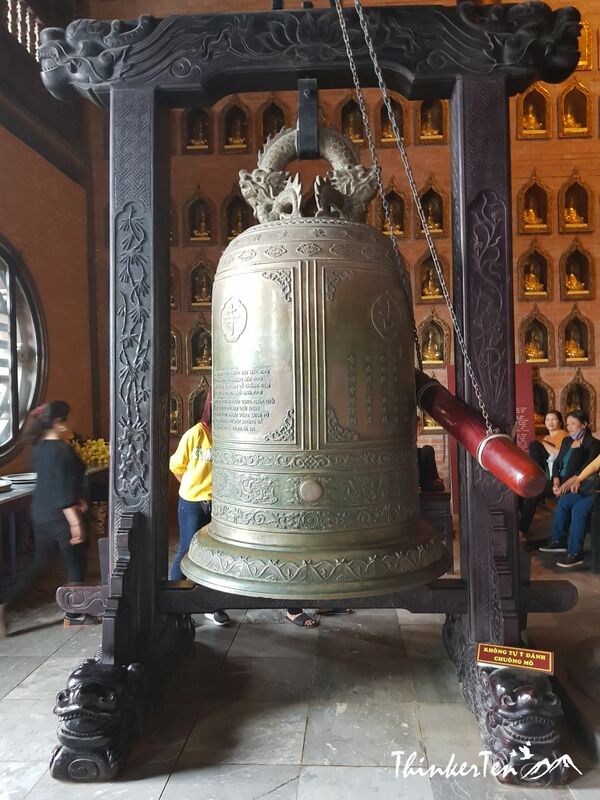 The bronze bell is believe to be Vietnam’s biggest bell with the weight of 36 tones. 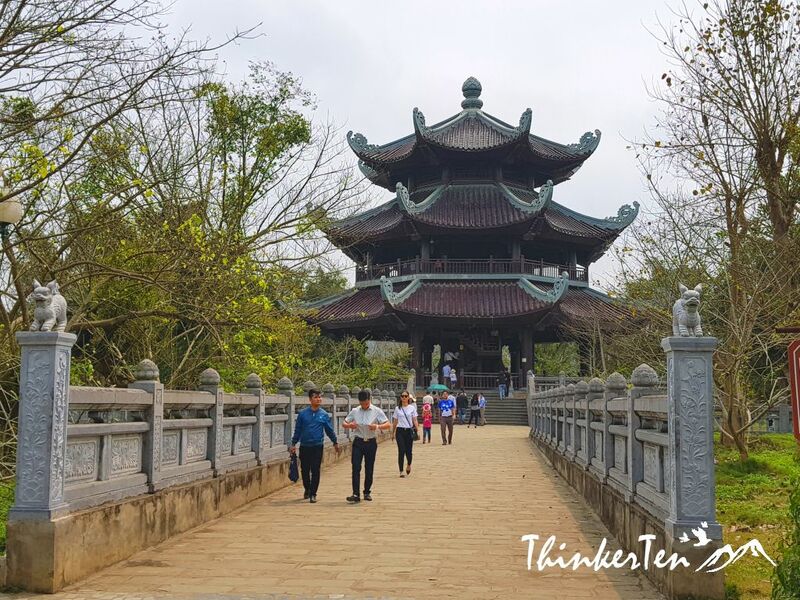 After you have look at the biggest bell in Vietnam, step outside and take a look the panorama view of the temple. 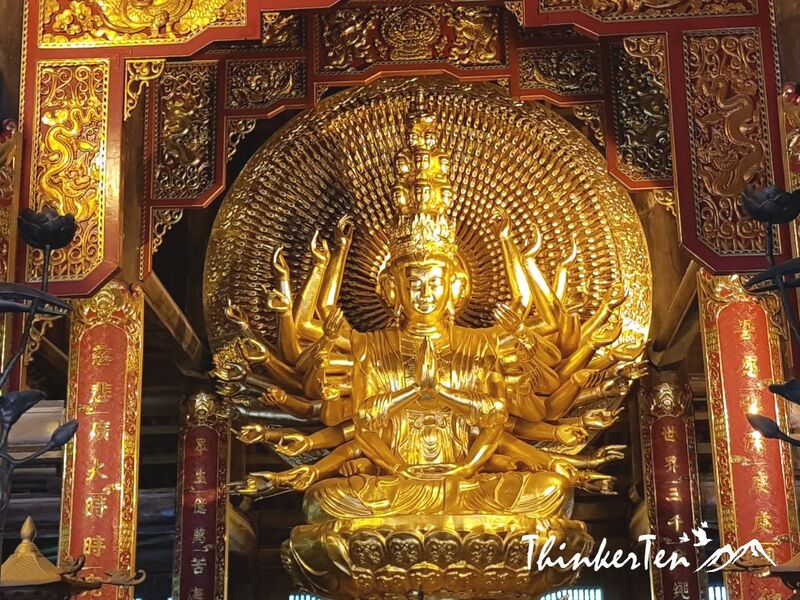 Inside the temple you will see thousand hand Kwan Yin in gold. Each palm has an eye on it. 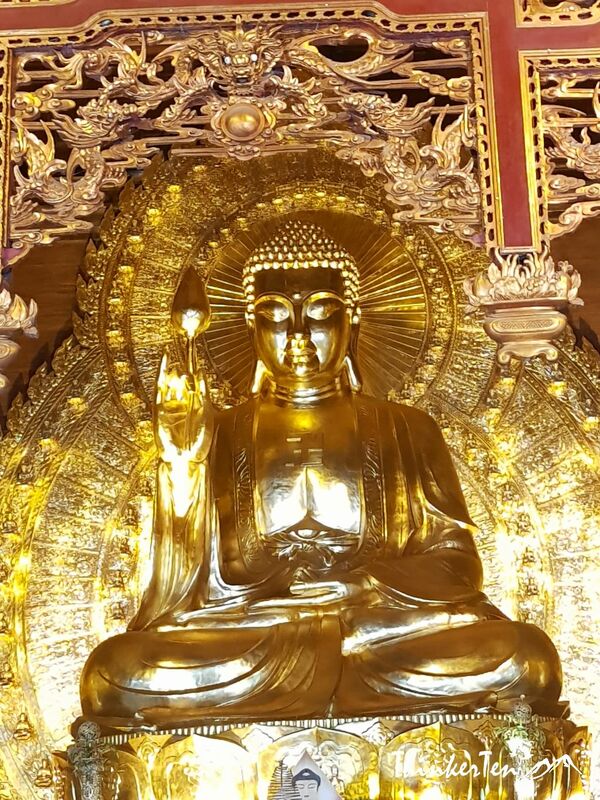 Inside Dharma Temple, you will find a big Buddha Sakyamuni statue with 10m high and weighs 100 tons. 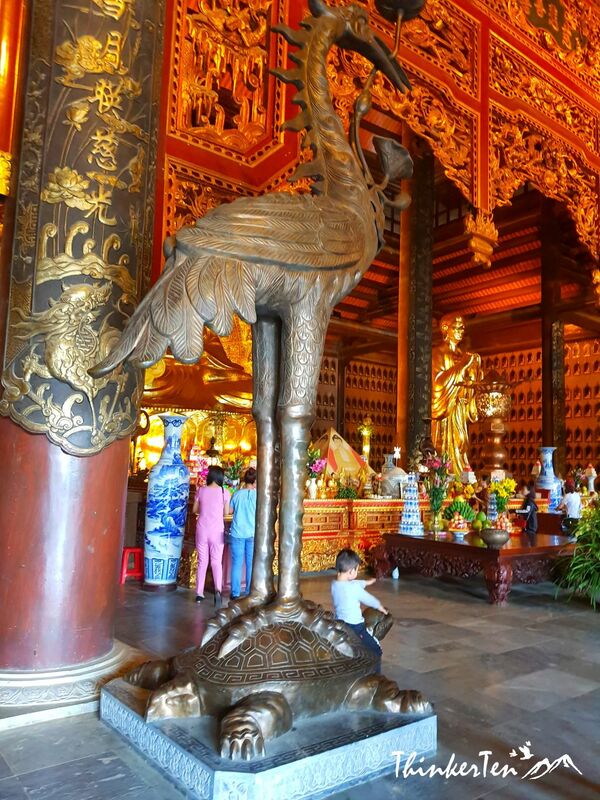 At the front of the Buddha Sakyamuni statue, there is a pair of swan stepping at the turtle – this represent longevity and eternity. Another Bell at Dharma Temple but smaller one. 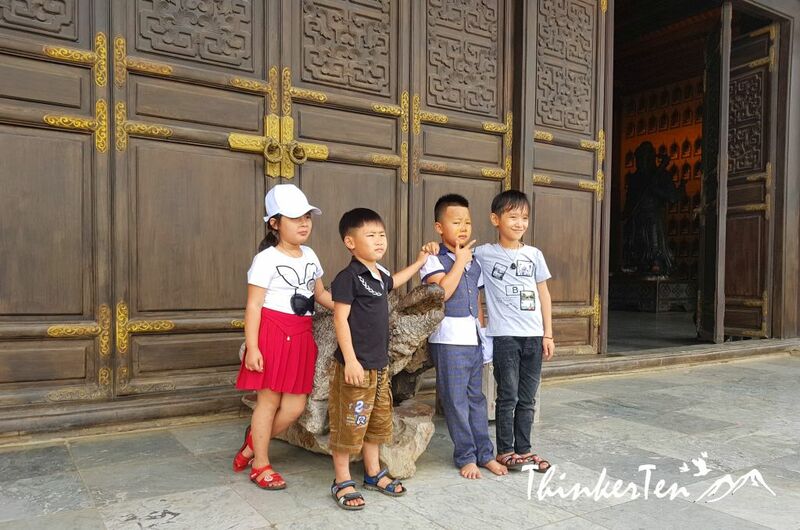 Vietnamese kids posing with the stone turtle. 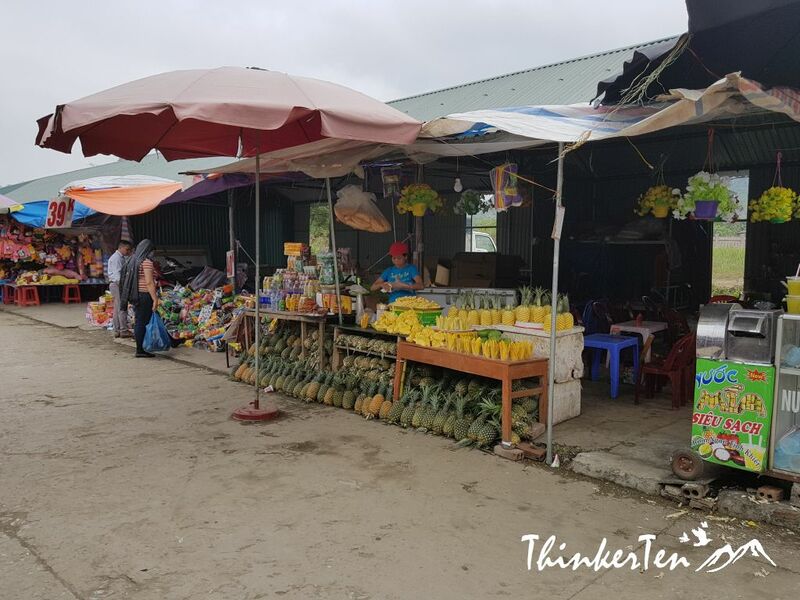 This is the popular destination for the Vietnamese so expect to see lots of them during weekends. Family sitting down at the floor to have a picnic, enjoying their local vodka. 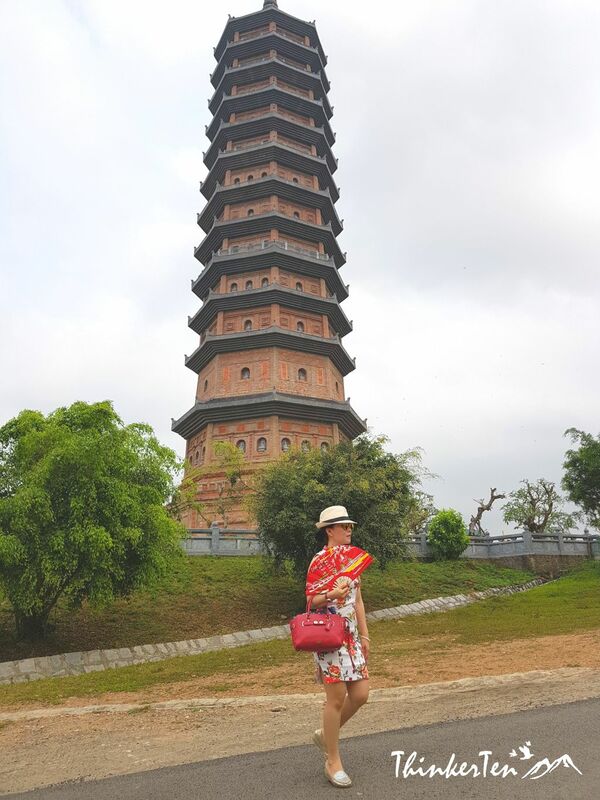 There are plenty of steps to go up to the pagoda and the big Buddha. Be prepared. 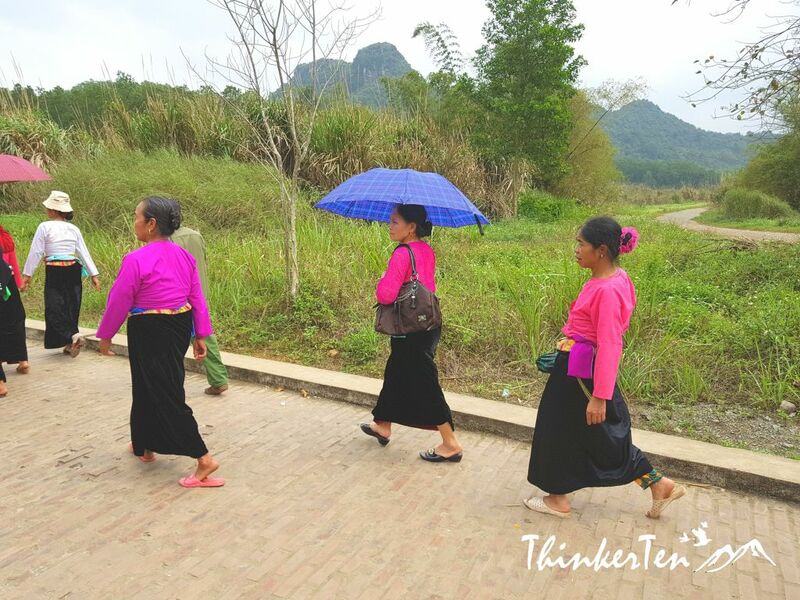 Some visitors choose to walk up the temple mountain but there is a long distance. We choose to ride on the electric car when going up and choose to walk down to the foot of the hill because going back to the original point to catch the electric car is too far. 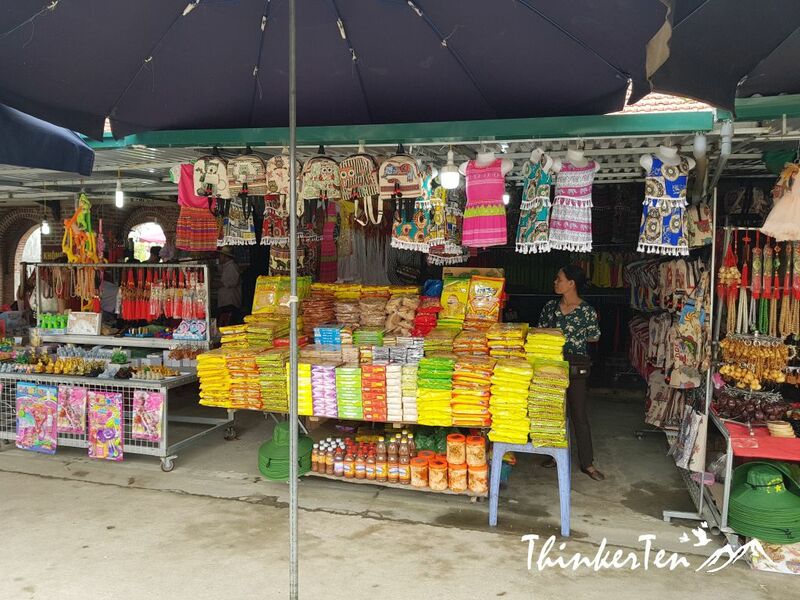 Souvenir kiosks as well as food stands around Bai Dinh Temple at the foot of the hill. 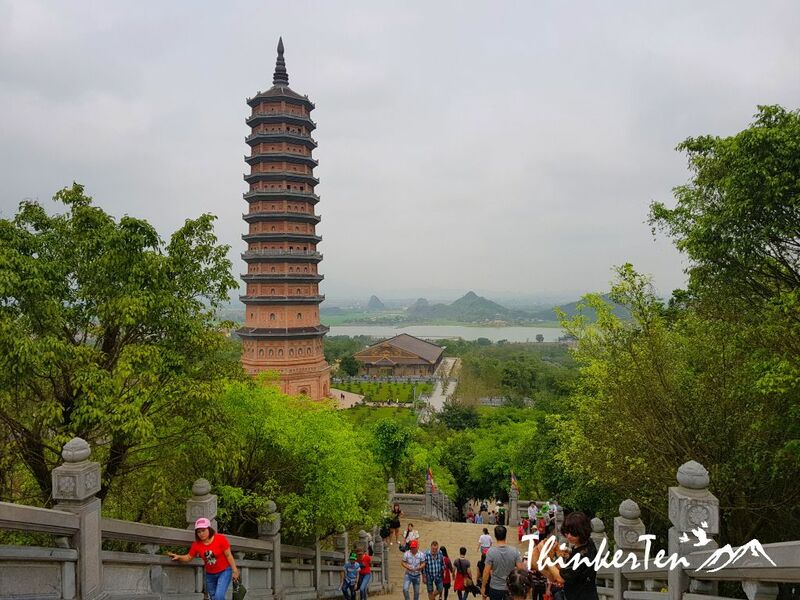 The complex is very big which consist a pagoda, few temples, a huge giant laughing Buddha at the top and 500 arhats statues. 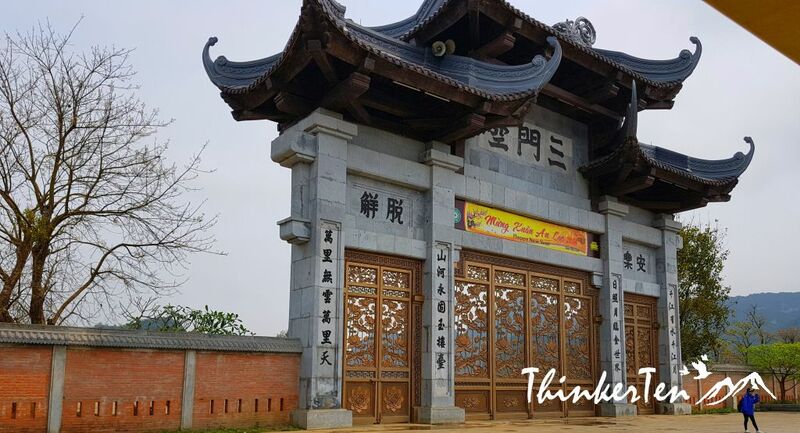 Do include electric car/ buggy when you purchase the ticket to visit the Bai Dinh Temple. You can go up by the electric car, take about 5 mins drive up. You can choose to walk down the hill as it is closer to walk down. 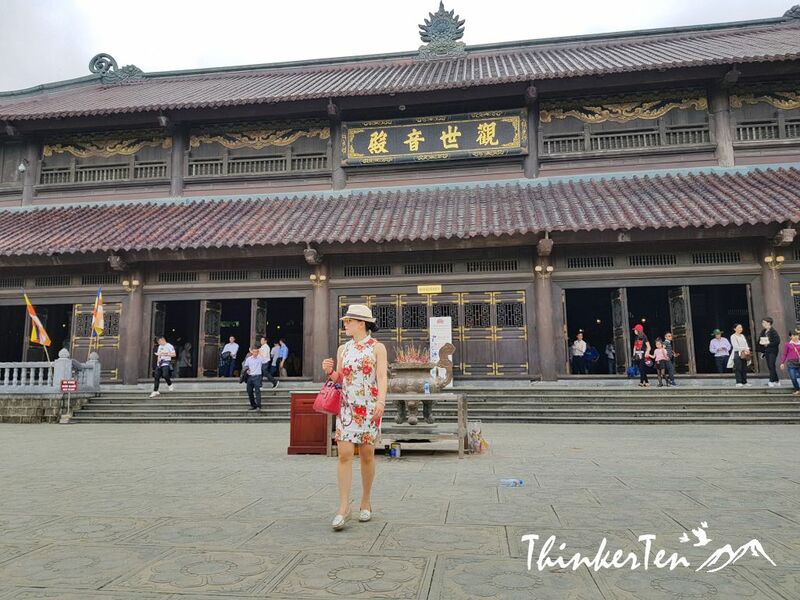 If you have been to many temples in China and Korea, then you may not find this place very interesting because it looks pretty similar to the temples in China – such as the temple in Xi’an. 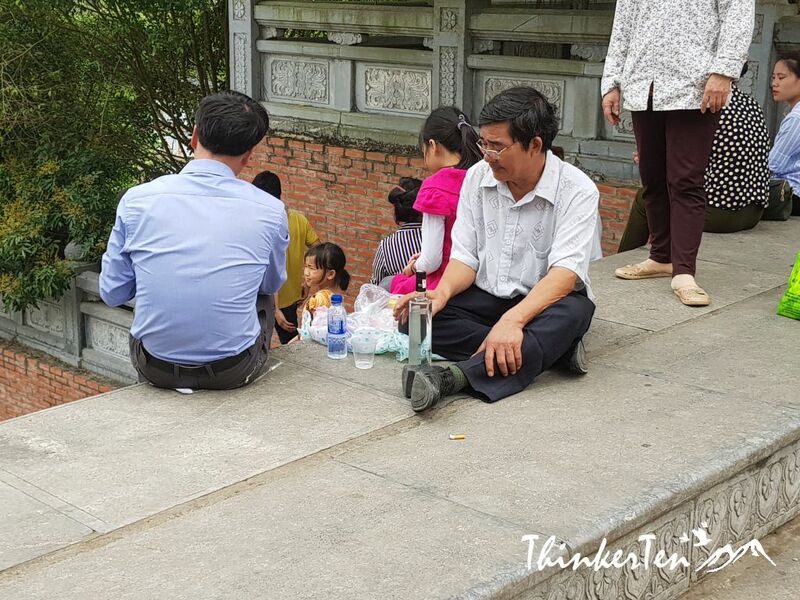 Since we are traveling to Trang An Boat cave, so we just make a stop in Bai Dinh Temple in the morning. 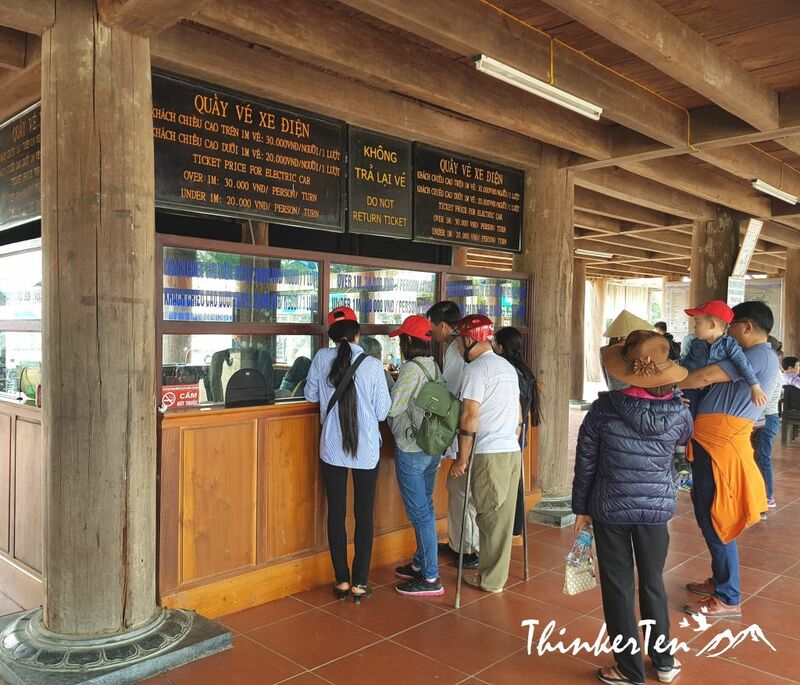 It is included in Trang An Day Tour. Your photographs are amazing! I would love to see that view from the top and try some of that local vodka! I would try the Vietnamese vodka too, yeah on the floor! LOL. This looks like such an adventurous day! Thank you for such beautiful photos. This is so intriguing and really makes me want to visit this country! You really take fantastic photos. 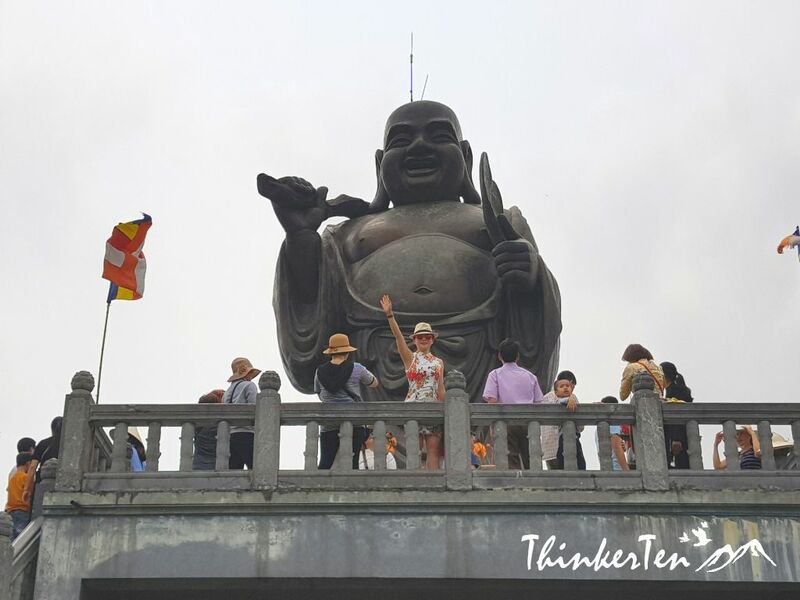 That big buddha is so interesting! What a fascinating and beautiful place. Your photography skills are exceptional. This post makes me want to visit these places to see them with my own eyes. Great post! What a beautiful visit this looks to be. I would really enjoy exploring the culture and history there seems to be here. That is a really beautiful place. I can see why it is so popular. What amazing pieces of architecture! You have captured the stunning beauty of these temples. Thank you for sharing your trip with us! 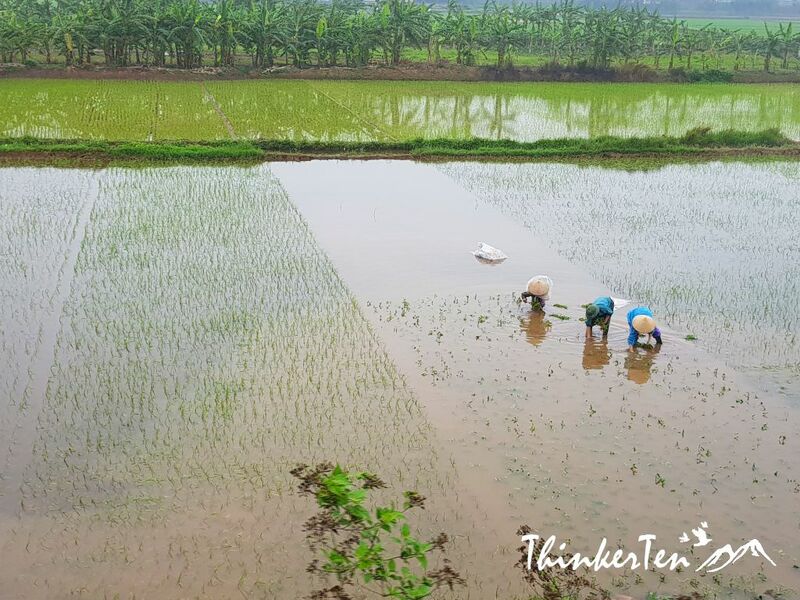 I have always wanted to see Vietnam and to visit places like this! It’s so beautiful and very stunning!